Culture begins with conversation. The Drawing Room is a gathering of people of diverse interests and backgrounds under the roof of a "salon". It is our desire to engage one another, refine our tastes, and exchange knowledge and ideas together. An art Think Tank. At each meeting an idea, project, concept will be presented followed by discussion, feedback, and brainstorming. 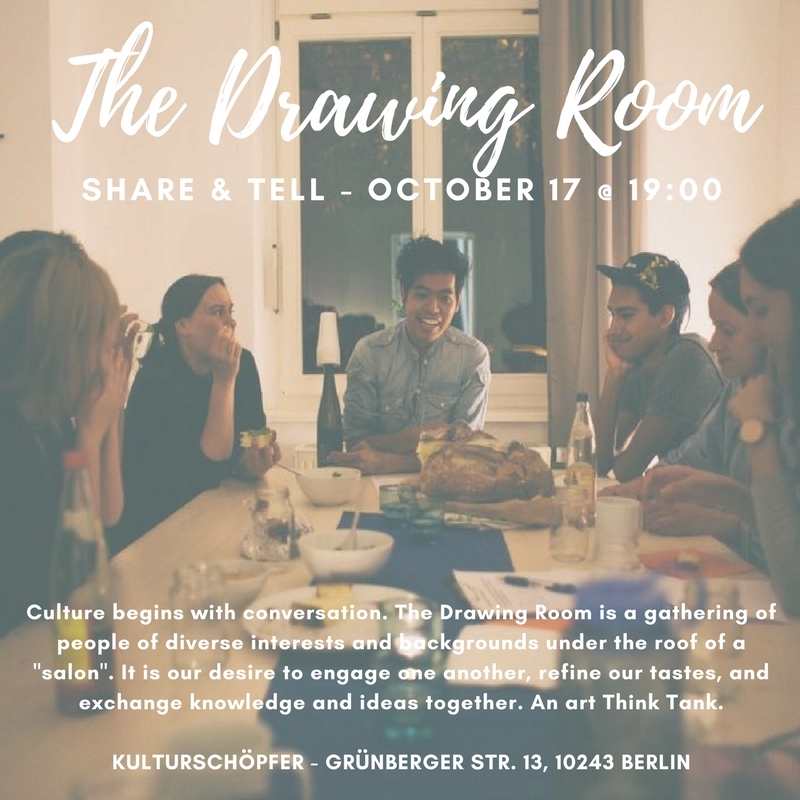 In this edition of The Drawing Room, we will have a night of Share & Tell where everyone is welcome to bring your art work, project, poetry, short stories, or questions you wish to share, discuss and have critiqued/feedback on. If you plan to bring something to share, please email us. We will begin at 7:00 pm and end by 9:00 pm, light snacks will be provided.